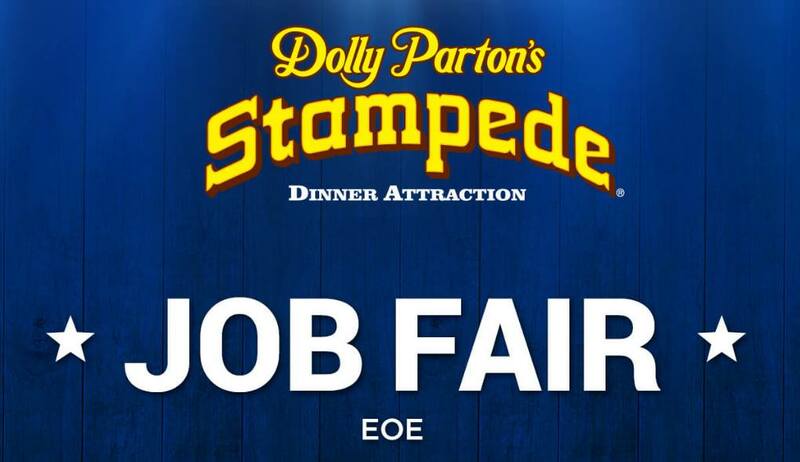 February 4th, 2019 Dolly Parton’s Stampede in Branson is holding a Job Fair for horseback riders, performers, techs, servers, audit, merchandise, kitchen and guest services. Must be 16 or older. Please apply in person, Monday Feb. 4th, 9AM to 3PM at Dolly Parton’s Stampede, 1525 West 76 Country Blvd., Branson. For directions, call 417-337-9400. 1525 West 76 Country Blvd., Branson.